Tommy Hilfiger Th24/7You was one of the numerous smartwatches displayed earlier this year at Baselworld 2017 in Switzerland. The TH24/7You was the third smartwatch announced by Movado after the Hugo boss Touch and Movado Connect. It comes with the classic American style and design that the Tommy Hilfiger brand is known for. The Tommy Hilfiger TH24/7You comes in one style casing which is a silver stainless steel and silver metal band. However, there is a brown leather strap option for those that would prefer a leather strap to metal. The Movado group which is responsible for making the likes of Hugo Boss Touch and it’s very own Movado Connect smartwatch has been focused on designing its new smartwatches to the identity of its brands. While the Hugo Boss Touch was made to be the classic formal wearable, the Tommy Hilfiger TH24/7You is easygoing, more funky and lesser priced. 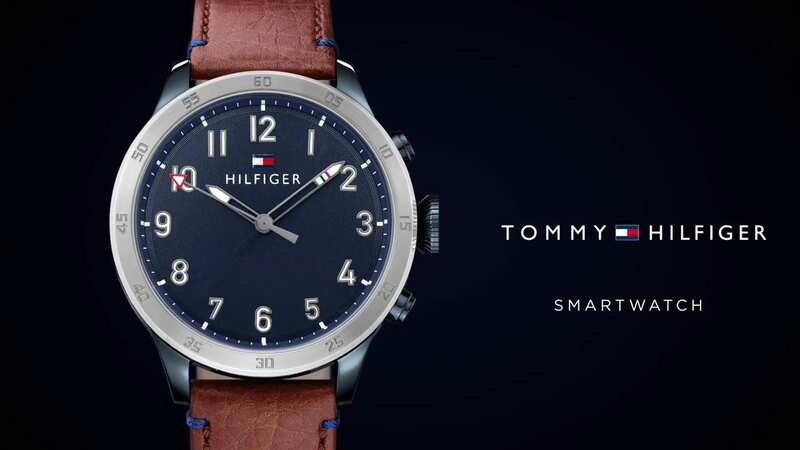 The Tommy Hilfiger is priced at $299 which helps undercut its brand contemporaries like Huawei, Tag Heuer and others. The Hilfiger TH24/7You has no GPS, no heart rate monitoring sensor and no built-in NFC chip. It is the only new smartwatch produced by Movado that does not feature an NFC chip which means no Android Pay or contactless payment. This is understandable because it’s not a tech brand and besides the Hilfiger TH24/7You keep things simple rather than try to squeeze too many functions into the smartwatch. When it comes to the design, the smartwatch has a straightforward and exquisite design. There is no extravagance in its design and probably has a big size which means it is preferably a big wristwatch. It seemingly slimmer than the Hugo Boss Touch smartwatch and has a leather and link strap option. Although news about the case size is not clear yet, it is expected to be about 44mm. The TH24/7 comes with an Android 2.0 wearable operating system on board; this means that just like every other smartwatch that comes with the OS, it will support the Google Assistant AI, play store and some other basic fitness monitoring features. It’s reassuringly heavy build without the typical bulkiness common in some smartwatches shows the quality of the Tommy Hilfiger design. The stainless steel material extends to the back of the smartwatch’s case which is usually made of plastic in other cheaper smartwatches with heavy fitness monitoring and tech features. At the side of the smartwatch, there is a single button for bringing up the apps display and going back to the watch face, but there are no additional buttons in the form of crown scrolling or bezel control. There are additions of some patriotic custom watch faces which as expected is American looking. Talk about the design; there are stripes, stars and has plenty of attitude to it. However, there are still Google’s design if you do not feel inclined to the Hilfiger style. Although the Tommy Hilfiger TH24/7You probably is not the best name to give the smartwatch and has been widely criticised for it. The smartwatch offers a basic classic design and a reasonable price tag.